Fashion editorial, "White Satin Black Forest", by Scott Redinger-Libolt. 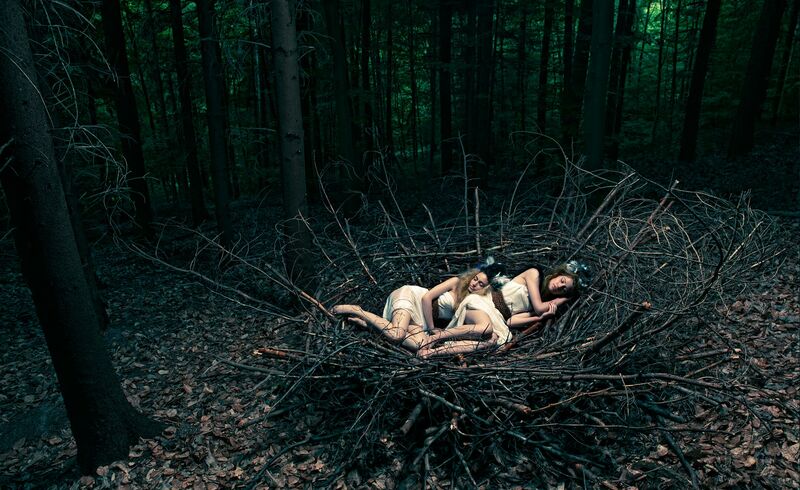 Models, Melanie Schramm and Laura Wotjalla, are safe in their nest in this fairytale themed fashion story shot in Germany's Black Forest. Styling, makeup and hair by Sayuri Bloom Fashion. Commercial, fashion photographer in Miami, Florida.